The 1980 Savings and Loan crisis cost U.S. taxpayers nearly 480 billion dollars. These 21st century corporate fraudulent financial strategies cost taxpayers billions and cut millions of people from their workforce. Enron is one of the major financial scandals at the beginning of the 21st century, along with “Tyco, Global Crossing , Qwest, WorldCom, Xerox, Adelphia, MicroStrategy, AOL-Time Warner, K-Mart, and some major banks, such as Citigroup and J.P. Morgan Chase,” according to scholars Jeffery Reiman and Paul Leighton. Also, do not forget about the recent global financial crisis. Last December, over 100 Bangladeshi garment workers died in a factory fire owned by Wal-Mart. In April of 2013, over 300 Bangladeshi workers died because major U.S. retailers - Wal-Mart, H&M, and GAP - did not have sufficient occupational and safety regulations to ensure worker safety from a building collapse. 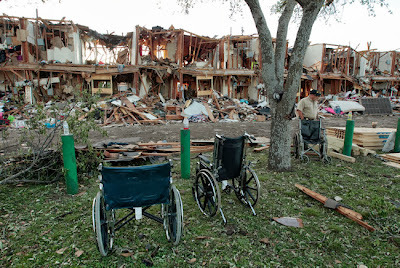 Also, in April, West, Texas experienced a massive chemical explosion killing 15 people at West Fertilizer Company. Due to lax federal and state regulations and a blatant failure to follow “existing rules,” which 15 people died and thousands in vicinity of the explosion could be exposed to harmful chemicals. Matthew is JPI's research intern.